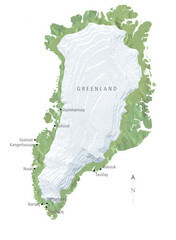 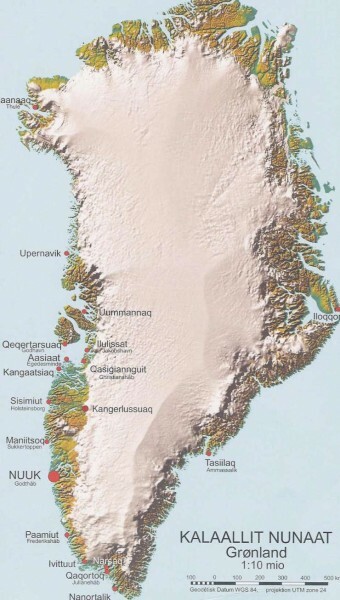 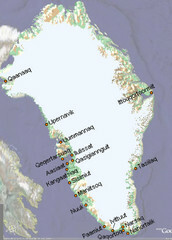 Map of Greenland shows city names. 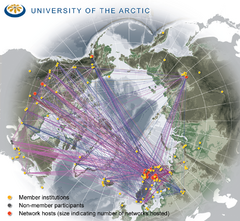 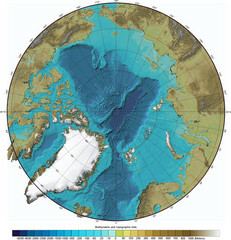 Bathymetric map of Arctic Ocean shows all ocean topography and topographical tints for land. 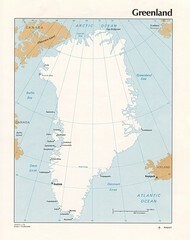 Clearly marked city map and legend.